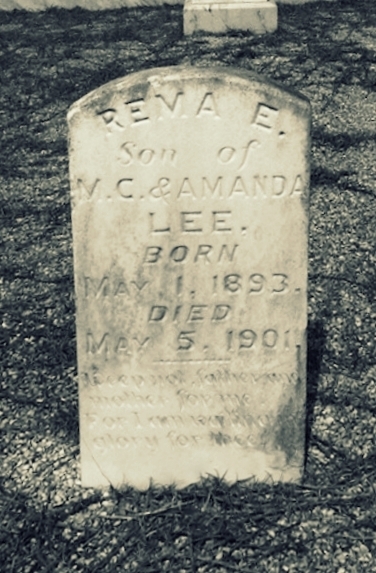 Rema Lee was born May 1, 1893, a son of Amanda Clements and Moses Lee who lived east of Ray City, GA. His father was a prominent farmer of Berrien County. His older brother was Bill Lee, who built a mail-order home from the Sears Catalog near Ray City. Tragically, Rema died at the age of eight after injuring his foot with a garden hoe. 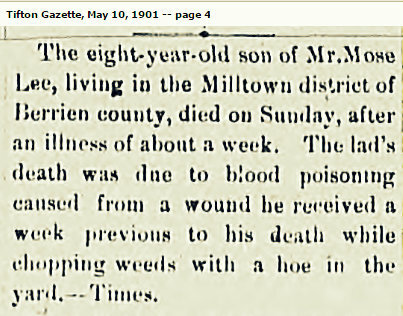 Rema Lee, son of Moses Lee and Amanda Clements, died of blood poisoning in 1901.